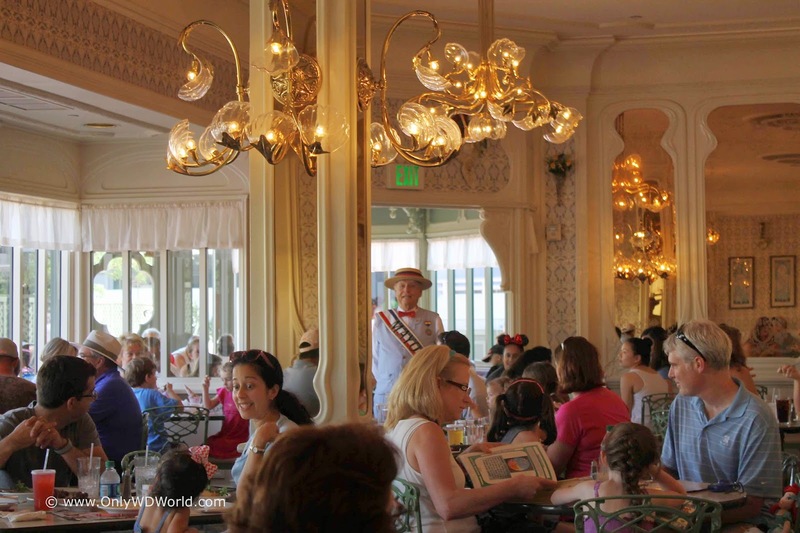 Tucked away in the Magic Kingdom, just slightly away from the hustle and bustle of Main Street is a little restaurant filled with Victorian charm that Disney World guests should have on their lists to experience. It serves as the perfect place to enjoy a relaxing lunch while on vacation. Although many people walk right past this tiny restaurant that is almost hidden in the Magic Kingdom, it is a great opportunity to escape the Florida heat and enjoy a relaxing meal. The setting fits the Victorian styling that is evident throughout the main Street area. This quaint Disney Table Service restaurant is the perfect place to grab lunch or a light dinner. You may even be lucky enough to catch the Mayor visiting. Note: Although somewhat hidden, the small capacity means that it is highly recommended that you make reservations ahead of times during the busier times of year. 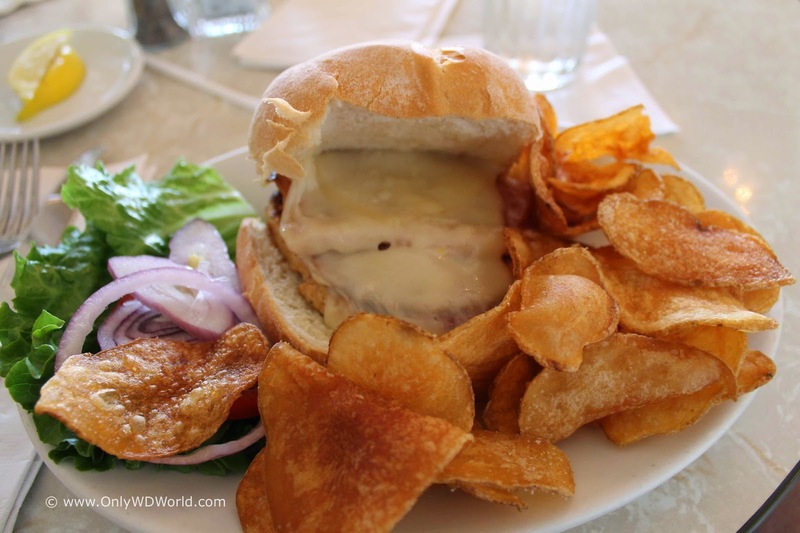 Review of The Plaza Restaurant Food! The grilled chicken sandwich was very good. As you can see in the picture above, it comes with a generous layer of Swiss cheese that covers the grilled chicken breast and shaved ham. The meal was also accompanied by house made potato chips that were very tasty. This is a definitely a sandwich that we would highly recommend. 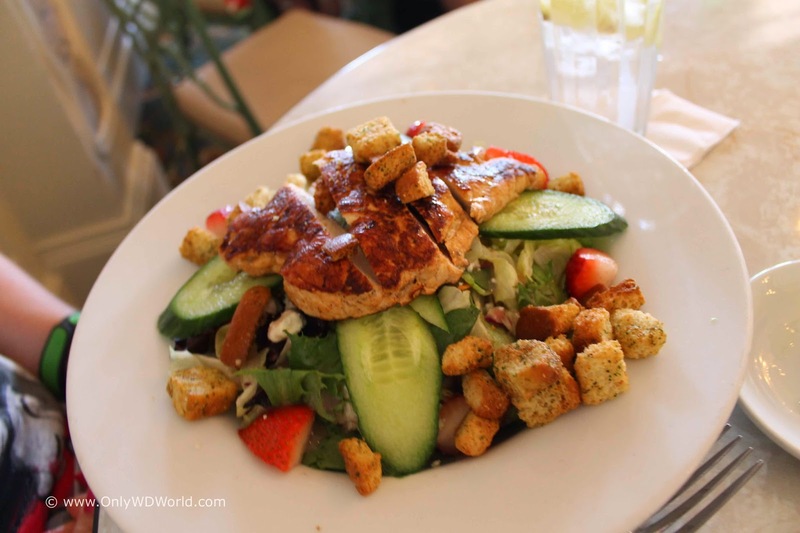 The other entree that we tried during our recent visit was the Chicken Strawberry Salad. The salad comes with a full breast of grilled chicken on a lovely garden salad with strawberries. Again, this is another dish that we would highly recommend. 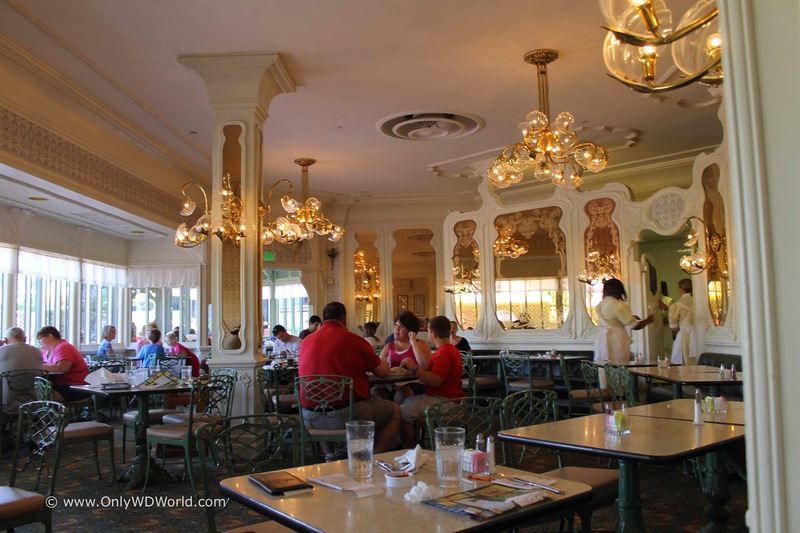 The casual atmosphere and prices that are not much different than the counter service options within the Magic Kingdom, made this an easy decision to rate this as a restaurant that we would definitely recommend. The Plaza Restaurant does accept the Tables In Wonderland discount which gives a 20% discount. Warning: The Disney Dining Plan is also accepted here, but it counts as a Table Service Credit. This would be a VERY BAD choice to use your credits to dine here. Doing so would mean that you will in essence be paying double the menu price to dine here. 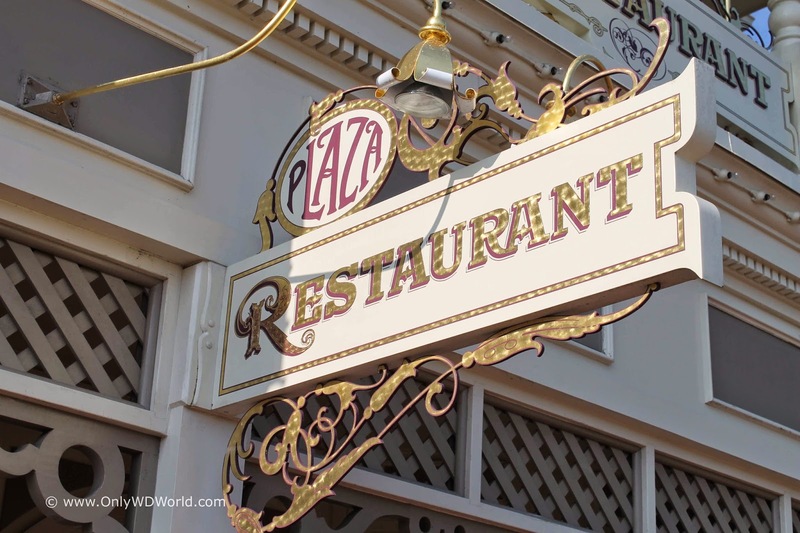 Only WDWorld highly recommends the Plaza Restaurant as a place to grab lunch in the Magic Kingdom. It has a relaxed elegance that really is fitting for a meal while you are on vacation. If you are a Tables In Wonderland cardholder, it is almost cheaper to dine here than at a counter service restaurant, making it a no brainer. 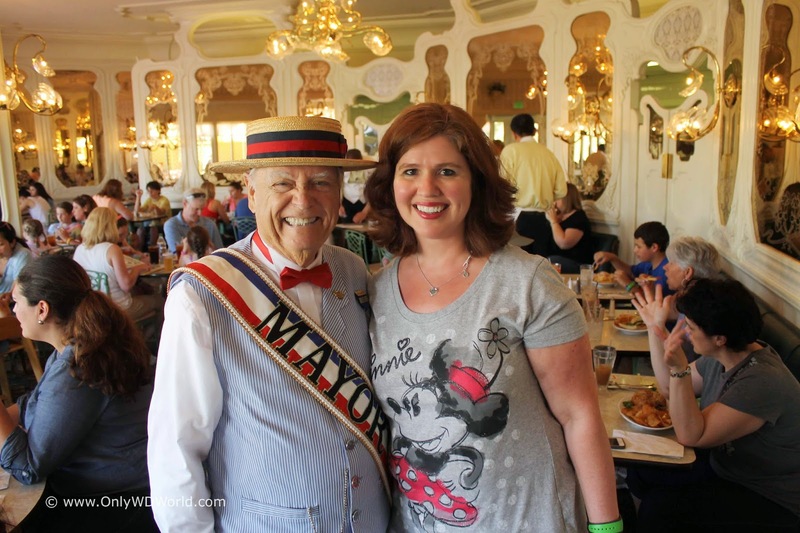 As a bonus, don't miss the chance to speak to and get your picture taken with the Mayor of Main Street USA. 0 comments to "Magic Kingdom's Plaza Restaurant - The Forgotten Gem"